A crisis has suddenly erupted within the Canadian labour movement, falling along old divisions of the movement’s archaic organizational structure, and assisted by the lack of any strategic focus or signs of even modest political ambitions beyond self-preservation in either the labour central or any of its affiliates. 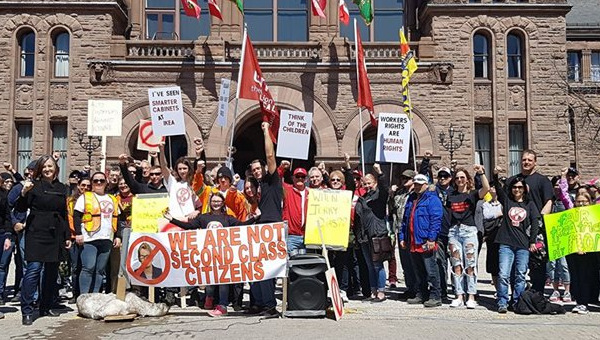 In the case at hand, the crisis is centred in Toronto and UNITEHERE Local 75, a large, diverse local with a militant history of organizing in the hotel and hospitality sectors in the Greater Toronto Area. Local 75 has been placed into trusteeship by the U.S.-headquartered International. Unifor, the largest Canadian (mostly) private sector union has organized a campaign to convince the membership of Local 75 to break with the International and join it. 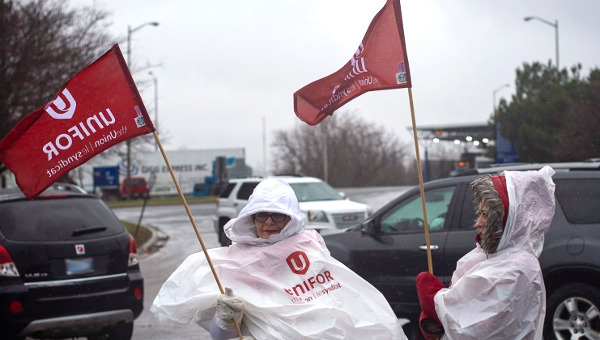 Many are calling the Unifor actions a membership raid. In response (or as a calculated decision from the outset), Unifor has announced its withdrawal from the Canadian Labour Congress, citing the inability of the Canadian labour central to provide a mechanism for the local’s membership to challenge the trusteeship and allow the members to decide in a democratic vote. The events have opened up a series of questions, some related to the specific case at hand, and others speaking just as much to the organizational impasse of the Canadian union movement. Are the reasons given by UNITE’s International leadership for the trusteeship valid (internal divisions and the alleged meddling of Unifor)? Are the efforts to sign up Local 75 members little more than a raid? Or are there important reasons – based on internal union organizational issues and a direction being forced on the members of the Canadian local – to challenge the International’s control of the local? Important developments internal to the local and the international are clearly at play. Some of this will only become clear with results from the recertification process and others will remain muddy and disputed. Other long-simmering issues (parallel to the split in the late 1990s over similar issues involving CAW and SEIU) organizational issues have been raised in this critical moment. How much power do U.S.-based International unions still have over their Canadian locals or sections? What autonomy do locals have to determine their own direction in Canada? What larger concerns remain with the operation of international unions? What gives an outside union like Unifor (Canadian-based or not) the right to try to sign-up members of another union? By what authority does Unifor act other than its own internal executive decisions in intervening in the affairs of another union? When and under what procedures do union members have a right to decide to change unions (given that the relevant articles in the CLC constitution and rulings of umpires in disputes clarify next to nothing)? Are the procedures in place adequate for a proper democratic decision of locals to occur, or are their only formal rules mainly protecting the control over members of existing affiliates? How can an individual union like Unifor simply leave the larger Canadian union central by decision of its leadership and National Executive Board, in order to avoid dealing with consequences of a raid, without consultation with its numerous locals or decision in convention, given that much of the membership has strong commitments to provincial federations and local councils? 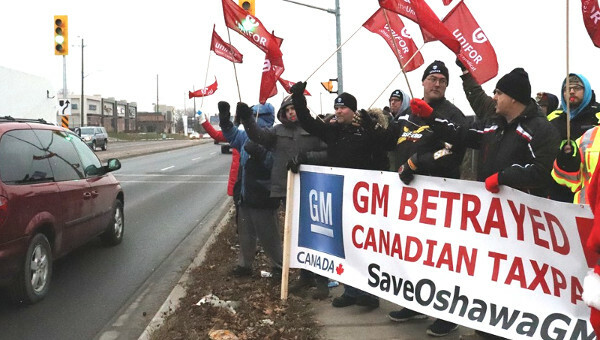 How can the Canadian workers’ movement push forward in this era when unions and workers are taking such a beating in a spirit of solidarity, when such divisions between unions are happening? 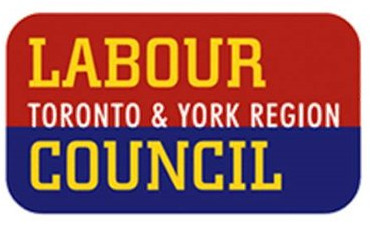 John Cartwright, the President of the Toronto and York Region Labour Council, Canada’s largest labour council, has written an open letter to the union movement which summarize key issues that need to be debated, addressed, and resolved in order to move forward. The letter, reproduced here, opens up space for a necessary and difficult dialogue. We are a long way from building the class struggle unionism and socialist movement needed in Canada to reverse the defeats of neoliberalism and democratize our society. But some beginning steps of rebuilding workers’ confidence through successful grassroots campaigns and bold organizing drives are occurring. This is hardly a time for internal division, a further entrenchment of competitive unionism, or ignoring the organizational impasse and strategic drift at the centre of the Canadian labour movement. On January 17th, 2018 the Canadian labour movement was plunged into a crisis with the exit of Unifor from the Canadian Labour Congress and the launching of raids on bargaining units of UNITEHERE Local 75. This open letter is intended as an urgent call for leaders in our movement, at every level, to strive to find a solution to this potential rupture before it becomes irreparable. And to allow time to explore solutions before hardening differences. Unifor’s disaffiliation from the CLC has massive implications for federations and labour councils across Canada – many have leaders from Unifor, and many rely on Unifor affiliation for their financial stability. I was elected as a Representative of Carpenters Local 27 in December of 1982. My union was locked into a jurisdictional war with Labourers Local 183, a bitter fight that broke out into all-out raiding many times over three decades. I have been both an antagonist and on the receiving end of raids, and both the Carpenters and Labourers have come under CLC sanction for raiding. Unifor would face those same sanctions today if it had not disaffiliated. I can honestly say that despite the tens of millions of dollars squandered in those efforts, the lives of workers have seldom been improved as a consequence. On the other hand, when we were able to undertake multi-union organizing drives in the construction industry during the 1990s, we succeeded in bringing union standards to thousands of members, and Toronto now enjoys the highest level of unionization in construction anywhere in North America outside of Quebec. 1. Raiding has rightly been identified as a cancer in our movement. No matter how passionate or committed people are when they undertake raiding activity, at the end of the day it draws incredible resources away from our real task. Our first priority must be organizing workers and reversing the decline of union density in our country. In the coming months, every union in Ontario should be dedicating its full attention to helping bring union voice to hundreds of thousands of unrepresented workers using the tools of Bill 148. We need to fight for more labour law reform, including broader based bargaining so that precarious workers can have a vehicle in which to achieve dignity and economic justice. At the national level NAFTA calls for our urgent attention. 2. Union democracy is a fundamental principle of our movement. No group of workers should be held captive to an organization that does not serve their needs or respect their voice. After long and painful debates on how to end raiding, Article 4 was developed to offer workers a realistic option of fixing problems within their unions instead of seeking another home. Since its adoption, the Article 4 process has generally worked, but there is always the pressure by powerful affiliates to limit its application. In a handful of cases workers left to join another union in an orderly fashion overseen by the CLC. There have been few actual raids since its adoption. But the disturbing events around the application for justification procedures by ATU 113 President Bob Kinnear showed a fatal flaw. What happens when a parent union disrupts the process and carries out reprisals against the member applying? What happens if another union is intentionally supporting the application, hoping to be the beneficiary of a displacement application? These issues threatened to blow up the 2017 CLC convention. They were assigned to a task force appointed after the convention, but at some point we should allow a full debate on this contentious issue. How the integrity of the process is safeguarded, and how top leaders around the CLC Executive choose to uphold that integrity will be a test to our movement and may be an essential element to resolving this crisis. 3. This crisis will severely affect labour councils. Many union leaders who now demand that labour councils and federations remove Unifor from our ranks do not themselves ensure support for those same labour bodies. The CLC Constitution Article 5.4 also calls for every one of those unions to ensure their locals are affiliated to federations and labour councils, but there is a silent wall of refusal to enforce that part of the constitution. all of their locals to labour councils. Nobody doubts that there must be penalties to stop raiding but instead of immediately forcing Labour Councils into a divisive action, the CLC should allow time for everyone to digest the implications of this split before imposing an administrative answer to a deeply political problem. Because at the end of the day, all politics are local. Members of Parliament, MLAs and MPPs are elected in local ridings. They respond to pressures from their local constituents, not just rallies on Parliament Hill or provincial legislature. Non-union workers and their families see our collective impact in their own cities, towns or regions. Effective Labour Councils are crucial to the power of our movement. 4. Article 26 of the CLC Constitution says there will be minimum standards of self-government. That was won in 1974 after fierce controversy over Canadian autonomy and workers leaving their internationals to form Canadian unions. Since then, many internationals have gone through a process of creating Canadian structures, which has led to those unions being able to authentically represent the interests and distinct union culture of Canadian members. Yet it is clear that those practices are not universally applied. 5. There is an urgent need to create an organizing culture in the Canadian labour movement. We cannot reverse the decline of union density and power unless far more resources – staff, money and leadership time – are devoted to organizing unrepresented workers. With Bill 148 in Ontario we have a unique opportunity to utilize tools that can dramatically change the reality of life for hundreds of thousands, and in the process help shape the politics of the coming decade. The ill-fated CLC review of organizing carried out some years ago had no real mandate, and offered no solutions because the political will of top leadership was lacking. Now is the time to have a fierce debate across the entire CLC family about what “organizing to scale” would actually look like in the face of dramatic changes to the nature of work. 6. The topic of union renewal is full of landmines, but absolutely necessary. At its core is the question of labour power, commitment to real social unionism, and equity. I work with and admire many colleagues in the United States, who are hamstrung by organizational and political decisions made by past generations. Fortunately, we have a different history, which includes a commitment to coalition work and a social democratic party that, despite its flaws, has been crucial to the extensive social policies and labour laws we enjoy. As the working class of this country becomes truly multi-racial in every region, we have to examine the urgency of achieving equity within every institution in this country, including our own. There needs to be an honest assessment of what we should look and feel like a decade from now. That may be a longer term discussion, but we don’t get there without taking first steps in the right direction. As we struggle with each other to find solutions to the current crisis, a vision of a powerful, effective, inclusive union movement of the future needs to arise. That will provide guidance for the steps we need to take in the coming weeks. John Cartwright is President of the Toronto and York Region Labour Council.